What follows is a conversation between Joshua Gibbs and myself on the work of Darren Aronofsky, culminating in a lengthy discussion of Noah, the director’s most recent work. Of course, this conversation is not exhaustive. Most of his films are here discussed in generalities, individual works are mentioned to highlight commonalities in his catalog. 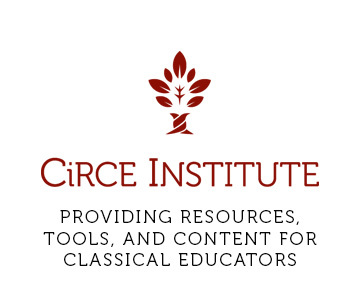 We hope that you might use this discussion as a sounding board for your own viewings. We also hope it might further inform your understanding of Aronofsky’s most recent film, Noah, which is the second part of the conversation. As for Noah, we go into much further detail, offering what I think are highly contrasting views on the movie. I would highly encourage you to read the discussion of the director’s work, although if you would prefer to move straight into our discussion of Noah, those passages are clearly marked as Chapter Two. JG: Pi cost virtually nothing to make. In 1998, this was the big story about Pi. The director sold the picture to Artisan for a million dollars. The story was about math, madness, contained many cuts, and in the end, the hero drilled a hole in his head. I saw it. I didn’t get it, although Pi certainly possessed a mood which shifted easily between brooding discontent and paranoia. Within his whole body of work, though, Pi seems distinct to me. There are traces of that paranoia in Requiem for a Dream, but really, after his first film, Aronofsky films strike me as simply very sad, very lachrymose. Fifteen years later, Requiem for a Dream is still the most depressing film I’ve ever seen. I wish I could unsee it. The Fountain struck me as an overly personal film; as I watched it, I felt I was reading a piece of personal correspondence between two persons who had lived together a long time, constantly referencing events of which I had no real knowledge. The Fountain made me feel like an outsider, although I’ve read Aronofsky often sets up his shots to alienate his audience. The Wrestler and Black Swan were different, though; both films were about great performers, and the long and slow intellectual, physical and spiritual death that overtakes a person who is trying to be something grand. 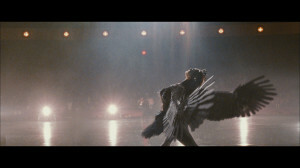 Black Swan seems more mythic, though, and there are shades of the Tristan myth which run amok through the plot. Two swans (one evil and one good), two girls (one whore, one Madonna), but in the end they are one and the same. An unsolvable and baffling contradiction sits squarely in the center of the film, as is the case with most myths. What about you? What was your first experience with Aronofsky? What kept you coming back to his films? JS: My first Aronofsky experience was the second half of Pi when I was in junior high, I think. I walked in the door after some practice or other and my brother was watching it. There are four things in the film that left definite impressions, all of them visual. The first was that it was black and white. The second was the digital stock ticker. The third was the Go game board that looked like a hideously complex amalgam of chess and checkers. The last was blood splattering the mirror as Max drills a hole in his own head. I didn’t get it either, but it contained some of the most memorable images I’d seen. My reaction to it was visceral, and really that’s the reaction I’ve had to all of Aronofsky’s subsequent material. I was influenced far more by how the films made me feel than by what they made me think. That reaction and the power of his images keep me coming back, and in part help to explain his whole oeuvre. He has a much better eye than he does an ear and philosophy. He’s an extremely visual storyteller, and his most memorable shots and editing sequences are up there with any of the greats. The first thing that comes to mind in any of his films are images, like those I mentioned in Pi, the space-ship sequences in The Fountain, the morphing from human to bird in Black Swan, etc. He is largely credited with inventing the frenetic and alienating editing technique called “hip-hop montage” used extensively (and to great effect) in both Requiem and Pi. His themes and his dialogue are nearly forgettable in comparison. It may be significant that he wasn’t involved in the screenplay for either The Wrestler or Black Swan. Those won the awards, and are often viewed as his best work. The themes are far more accessible. But again, are there any lines of dialogue in these or any of his films that are especially memorable? What you mentioned about Black Swan and The Wrestler, that both were about “the long and slow intellectual, physical and spiritual death that overtakes a person who is trying to be something grand” was really interesting to me. I think, maybe, this idea could be expanded to encompass every one of his films. Perhaps more than any director since Hitchcock, Aronofsky seems fascinated, fixated might be a better word, on a certain type of character. For Hitchcock that was the wrongly accused man, for Aronofsky, it is the man or woman in a self-destructive pursuit of something they deem of highest importance. In Pi it’s a mathematical explanation of everything, in Requiem it’s for any kind of significance within the framework of a monotonous existence, in The Fountain it’s a solution to death, in The Wrestler it’s greatness and redemption, in Black Swan it’s artistic perfection. Every character’s pursuit ends in utter failure, and so the answer, if you will, to all their problems is a Buddhism-influenced non-attachment, a “letting-go”. What do you think? Can Aronofsky’s catalogue be so summarized? 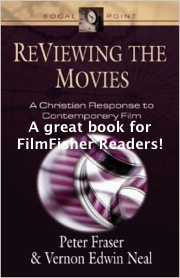 JG: His films are certainly more memorable for their images than their words, although the conversation between Pam and Randy, wherein she begins retelling him the Gospel story, but concludes by describing it all as the plot to a movie called The Passion of the Christ stands out. I think you are correct, though, and Aronofsky does like to tell stories about people who destroy themselves. I think all of his films are tragedies, although The Fountain might barely escape that designation. Regardless, the Aronofsky hero intentionally destroys himself, which sets his films apart from typical tragedies. Aristotle suggests there are three kinds of hamartia; a man accidentally trespasses upon something sacred and brings down a curse on himself, a man is irrationally hated by the gods, and a small moral flaw within a man’s soul is slowly torn open, and a rather minor infraction of the law (a white lie, a stolen loaf of bread to stave off starvation) becomes infected, and the transgressor suffers a heartbreaking, disproportionate punishment. I don’t know that many of Aronofsky’s tragedies fit neatly into these categories. At the end of Black Swan, I think Nina is content to die, as is Randy at the conclusion of The Wrestler. Both characters seem exhausted of the world, used up, chewed up, wrung out, bled dry. Death comes as a great relief to them, and while neither is a suicide, exactly, they have both hastened their own deaths through immoderate living or ignorance or opportunism. 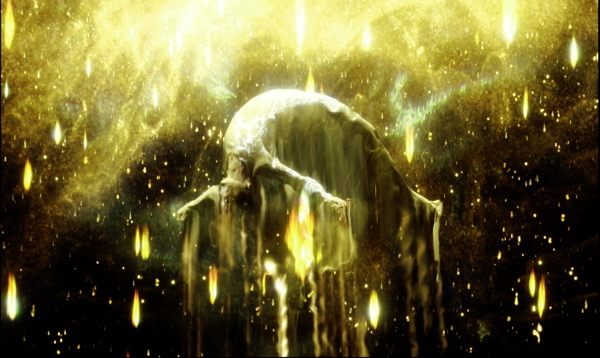 The narrative swing of Black Swan vindicates Nina, though, for as the camera ascends over her dying corpse, so does her soul, and the film terminates in blinding whiteness, in heaven. Randy is caught up in the eternal, as well; the final shot is a still, forever upholding his body on the cusp of death. He is suspended between death and life as a kind of macabre, unfinished sacrifice. How kindly do you believe Aronofsky feels towards his characters, though? 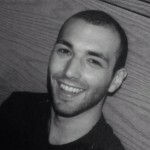 JS: It seems that the only character who’s tragic flaw fits neatly into one of Aristotle’s categories is Max Cohen. In trying to come to a mathematical understanding of the universe, he trespasses on holy ground and doesn’t veil his face or turn away; he tries to explain the mind of God and can’t contain the ineffable knowledge. That the film includes themes of a Jewish understanding of Torah, specifically as regards numerical hermeneutics, highlights the spiritual nature of the conflict. Like Semele seeing the face of Zeus, Max delves into things that are beyond the human capacity to understand, and is destroyed. Your reading of the ends of both Black Swan and The Wrestler are fascinating. I hadn’t considered either idea, but I think you’re right. 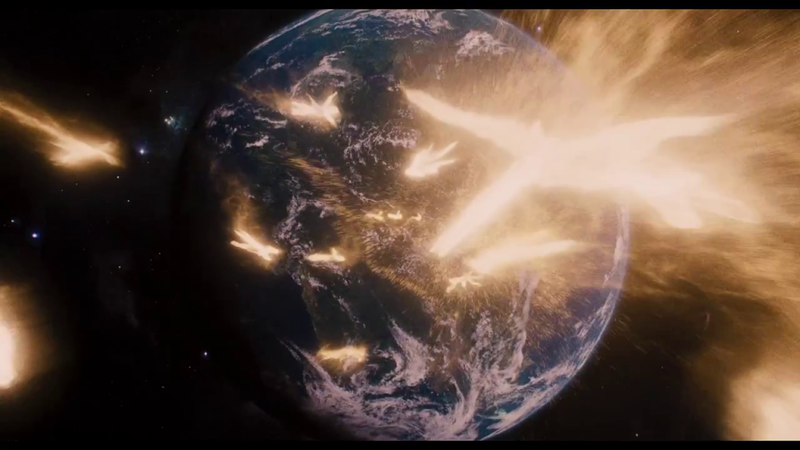 Given what we already discussed about Aronofsky’s penchant for creating meaning through images, it’s hard to argue. It’s a bit of a reach, sure, but given these interpretations, some of his films could be viewed as tragedies in the same way that Job could be considered a tragedy. While there is a kind of semi-joyful resolution at the end of Job’s life -he becomes wealthy again, his reputation is rebuilt, and he has more children- it doesn’t negate the horrific experiences that he underwent. Nina and Randy both experience an excessive amount of pain that their being “caught up in the eternal” doesn’t reverse. The Fountain might fit into this as well. What do you think? I don’t believe Aronofsky could elicit such outstanding individual performances from actors, maybe the best of Jackman’s, Portman’s, and Rourke’s careers, without deeply understanding his characters, and to understand a character is nearly synonymous with looking upon that character kindly, with sympathy at the very least. The types of characters around which he centers his films have attributes that would be all too easy to make repulsive: Randy the dead-beat dad who frequents strip clubs, Nina the prude or whore, the drug addicts in Requiem. Aronofsky never goes so far as to glorify evil actions. The horrifying results of drug use in Requiem for a Dream were sickening. But the disgust is always directed at the evil act, never at the person. We feel more pity for Aronofsky’s characters than anything else. One topic we haven’t touched on yet are the soundtracks for Aronofsky’s films. What, if anything, do you think they add? JG: My own reading of Job is, perhaps, a bit different from the one you suggest here and makes the comparison hard to make. I tend to side with Gregory of Nyssa’s reading of the end of Job, which is that all of his children are resurrected; Job does not receive new children, but his own children, back from the grave. All of Job’s other losses are doubled back to him, but he receives the same number of children, although he might be seen as “doubly paid” because they are perfected. To go just a step further than the literal closing of Job, I believe the text suggests Job gets what he has asked for all along, and that when he is caught up in the whirlwind to see God face to face, he is dead. The meal he shares with his friends is the Eucharistic meal, which he enjoys “with them,” though he has been gathered into heaven and they enjoy it, prefigured, while yet part of the Church Militant. The gold they bring to Job in payment are alms offered to the poor in Job’s name, and this allows the disenfranchised of Job’s kingdom to participate in the feast which concludes the book. The Septuagint goes a few verses further than the KJV and says, in 42:18, “It is written that he [Job] will rise with those whom the Lord resurrects.” These verses, while inspired, are likely written long after the original text. According to David Bentley Hart’s history of the doctrine of the Resurrection, as presented in the Oxford Handbook of Eschatology, was likely emerging in the Jewish imagination around the time the Septuagint was translated. Black Swan and The Wrestler present endings which are remarkably difficult to interpret. The Ram and Nina have been so drained of virtue, it seems hard to read their deaths as sacrificial; at the same time, neither do not seem entirely suicidal. To say that they die for others out of a sense of gratitude for their own lives, and for the goodness of life in general, seems to stretch their characters nearly beyond the breaking point. The Ram is lost, looking for something good and true into which he might pour his life, although Nina is possessed of a kind of mania to be perfect. Black Swan was often compared to The Red Shoes when it first came out; both films end with suicides, although forthrightly calling those death “suicides” assumes much about intentionally and the intellectual and psychic coherence of the characters. Aronofsky obviously presents Nina as a psychologically traumatized person, someone who has been abused her entire life, and somewhat beholden to this story her mother has told her about what she might someday become. The scene wherein her mother threatens to throw out the cake she purchased suggests Nina has not lived a full life, but has been corralled and narrowly-guided from a young age. Nina never seems to take any enjoyment in all her labor, but seems like a slave to her work. So far as a sound theology of the artist’s obligation to art is concerned, I would highly commend Nikolai Gogol’s novella “The Portrait” as an astute, humane depiction of what the gifted man owes his gift. When the hero of Gogol’s novella realizes he has become enslaved to his art, he retreats to the desert to pray and confess his sins for years before he is competent to return to his craft, and only then does he produce a masterpiece which enlivens him. Aronofsky understands something mythic, something fundamental about the loss the creator feels when beholding his art; God created the world in six days, and in six hours, on Good Friday, the same creation destroyed Him. “Today He is suspended on a tree Who suspended the Earth above the waters,” as we sing at the Lamentations service Good Friday afternoon. Aronofsky’s rendering of this truth seems uncomplicated, though, by the true glory set before the one who must endure suffering. You asked about Aronofsky’s music, and I’ll admit that while I like Mansell, I think Aronofsky could do so much more for his movies if he scored them like classical mixtapes, which is kind of how I think of Malick’s approach to The Tree of Life. Malick had Alexander Desplat do a score for The Tree, but scrapped it in favor of this barrage of pieces strung together with loose fades and transitions. Mansell’s stuff is so 20th century sounding, it all smacks of an atheist requiem. Mansell is terrifying, frankly, and I feel Aronofsky films would profit from an employment of sacred music and more vocal work than they do. What are your thoughts on his soundtracks, though? And we’re right on the cusp of Noah, which I plan seeing Friday night. Which of his previous work do you think Noah will most closely resemble? JS: Your summary of Nyssa’s reading is certainly interesting. While I’m not averse to it in the least, I think I’ll have to read his whole work carefully in order to fully interact. Differences in interpretation aside, though, the general idea of comparing Aronofsky’s work to Job seems worth discussing. A major theme of both is an exploration of human suffering. What kinds of suffering are explored in Job and by Aronofsky? What is the purpose of suffering, if any? What is and ought to be the human interaction with the Divine in the midst of suffering? All of these questions could be asked of both and fairly complete answers developed. We obviously can’t do that here and now in the interests of space, but I think one important difference could easily be noted. Job can only be fully understood in light of the resurrection. As St. Paul says, “If in Christ we have hope in this life only, we are of all people most to be pitied.” Who could be more pitiable than Job if that were true? I don’t know that Aronofsky’s work includes much of anything in the nature of real hope for this life, much less in the life to come. If he does, it’s certainly not clear, not nearly as developed as despair. Maybe his endings are difficult to interpret because they leave his characters in a pitiable state, in a state that is wholly unsatisfying? Your reading of Black Swan is close to my own, in that we both find a major theme to be the relationship between art and artist. What does it mean to create? What is artistic perfection? What does greatness require? It seems to me that Black Swan answers these questions in the opposite way that Scripture does. If we understand Creation as the only work of perfect art, then it would seem that the doing art is best understood as an act of sub-creation, as Tolkien argues. God did not lose a part of Himself when he created, and the act of creation certainly didn’t require His destruction. Art, like creation, is an act of life, of addition. Black Swan seems to argue, or at least Nina comes to find personally, that artistic perfection requires the destruction of the artist. I don’t think I have much to add or subtract to what you think of Mansell. He is certainly terrifying. When Aronofsky’s films require that tension, though, it’s hard to think of a better composer for it. Requiem would be a lesser film without the soundtrack. Yet again, the odd film out here is The Fountain. There are moments in it when Mansell ceases to be terrifying and grows far more contemplative, demure even. That might be a good segue into Noah. Like every other element of Aronofsky’s style, I have no idea how it will play out in a Biblical epic. In your first email, you mentioned the extremely small amount of money it took to make Pi. Although his subsequent films have had larger budgets than Pi, they all pale in comparison to the one Noah has. His most expensive film to date has been The Fountain, and it cost thirty-five million. Noah cost around one hundred and thirty-five million. How will that change what he does? Will it still look like an Aronofsky film now that he doesn’t have to find clever ways of working around limited finances? Noah doesn’t seem to fit within the type of story that Aronofsky chooses to tell, either. JG: In a lengthy New Yorker piece on Aronofsky, composed amidst the set of Noah, the director described his various struggles with the studio to make the movie as he saw fit. Little in the article struck me as more dubious than Aronofsky’s claim that the final cut was going to be “98%” of what he originally intended, which I interpreted to mean “no more than 28% of the final cut of the film will have anything to do with my vision for the story.” Would this film have been better as a twenty million dollar black and white? I couldn’t say for certain, although I find the question opens a more tantalizing set of possibilities than it might seem at first blush. In the last two years, I’ve probably read Lisbeth Zwerger’s version of the Noah story to my children close to a hundred times, and her version runs quite close to the Biblical text, with little added, and only a few salient details subtracted. Her text is close enough to the original as to inspire realizations about theme and character that are vindicated when cross-checked against Moses’ account. That said, when I sat down to Noah, I was expecting much of the film to hang out between the lines of the Mosaic account, not within the words themselves, and I suppose that expectation was met. If you want to argue that the Watchers are not Biblical, I see no less reason to complain that Noah’s beard is not Biblical, in that the Bible describes neither. While we might tend to think of Noah’s beard “a reasonable inference” of the text, yet I would say a modern Christian understanding of what is and is not “reasonable to infer” of Scripture is so truncated, withered, stillborn and wholly informed by Enlightened, rationalist prejudices and a desacaralized view of the Scripture that it’s a wonder such Christians don’t object to women receiving the Eucharist, which Scripture never literally describes. Bygone Christian eras possessed (and more ancient traditions of Christianity yet possess) a far more mystical, sublime and deeply-imagined set of assumptions about what it is “reasonable to infer” of the text; furthermore, those assumptions are not built off grammatical-historical hermeneutics or archaeological research or study of chiasms and what have you- those assumptions are built off of a loving, mystical contemplation of Scripture. Whether or not Noah capitalized on those kind of reasonable inferences, and whether or not the film portrayed Noah from a psychologically coherent standpoint is a different question altogether. JS: Some of our discussion has centered around interpretation, it’s methods and what’s “reasonable to infer” in the words of your most recent comments. The best description for Noah is, I think, a cinematic interpretation in a midrashic tradition. I say cinematic because the film is highly visual. 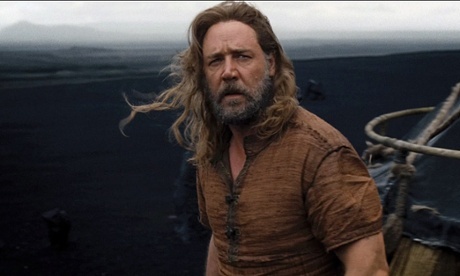 In the typical style of Aronofsky, the sounds of Noah -dialogue, music, etc… are far less memorable than its images. In this case, it’s not because the sounds are deficient, but because Aronofsky’s vision is so powerful and defined. Each shot, each facial expression, the look of the ark and clothes, the colors and contours of the terrain, the sequence of cuts, in short all the things that make a movie a movie, were chosen particularly and weaved neatly together to expand and bring to life the flood story as told in Scripture. The “hip-hop” editing technique used in Requiem for A Dream appears again and is used to great effect. As the water springs from the base of Methuselah’s mountain, cut after cut is made in quick succession to show it’s expansion into the barren wasteland of earth, bringing life to the ground it touches, and sending the animals to the safety of the ark. The angels, once etherial and radiant, are covered in the mud and stone of earth. They creak and groan as they walk, looking downtrodden under a heavy burden, a visual representation of what the fall has done to all creation. The dead volcanic rock and vibrant green of Iceland create a beautiful and stark contrast between good and evil, light and dark. The goodness and life of original creation, like the grasses and small flowers, are still visible but diminished, hanging tenuously on the cracks and crags of the human heart. One character, in particular, illustrates this well. Anthony Hopkins masterfully gives a sense of kindly, perhaps holy, insanity as Methuselah, just floating on the surface of reality, not really made for this world. I could go on, but I think the point has been made. Most everything we see was chosen for it’s cinematic value and has meaning worth noticing. The second aspect of Aronofsky’s interpretation has been far more controversial. His Noah is a midrash, a particular type of Jewish interpretation that involves, as Rev. Wil Gafney writes in the first part of her review, “filling in the spaces of stories.” Many of the narratives in Scripture don’t include information needed to make a good film. The story of Noah, in particular, includes very little detailed conflict and condenses many, many years into six short chapters. As you noted in your last comments, we are not even told what Noah looks like; there are a lot of spaces that can be filled. The problem for most Christian viewers, as I understand it, has been what Aronofsky chose to fill those spaces with: fallen angels called Watchers and Noah’s desire to extinguish humanity -including his own family- from the face of the earth, etc. I thought Aronofsky’s re-telling beautiful, good, and true in the deepest sense of the word. The way he chose to fill the narrative spaces charged the film with the light and life of the Gospel, and powerfully described the longing and need for Christ’s coming. The story opens with a conflict between the seed of Cain and seed of Seth. It has been several generations since the fall of humankind, and the earth has been wiped clean of almost all life by the descendants of Cain. The memory of the garden of Eden is a shadow, and earth has become a place of fire and hard stone. Cain’s descendant, Tubal-Cain, is a ruthless king bent on a pursuit of God-like power. He kills Lamech, Noah’s father and descendant of Seth, to bring the wealth of Lamech’s land under his rule and takes the shed snake skin that symbolizes the special relationship Seth’s line had with God. In witnessing this, both Noah and we witness the depths of evil to which humanity has fallen. But, when Tubal Cain takes the skin, we also understand the cosmic nature of the conflict. This is not merely a struggle between one man and another, between one group of men and another. It is a struggle between God and serpent, light and dark, holy and profane. 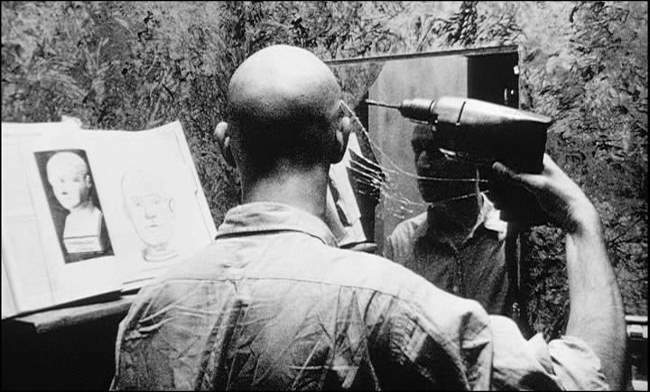 Throughout the film, Aronofsky continues to expand and deepen the contrast. Tubal-Cain is a metal worker, an inventor of instruments of war and death. He is shown as caring only for that which will make him more powerful. The descendants of Cain live in large and crowded cities that seem to be full of disease and famine. They hunt and eat all kinds of animals, so aggressively, in fact, that there are very few animals left. In one particularly disgusting and horrific scene, people are seen ripping a sheep-like animal into pieces and eating it raw, including the entrails. In scenes that take place inside their camp, we become witnesses to the worst kinds of human interaction. They sell women and girls to be raped in exchange for food. They dump rotting corpses into open pits. Everything is bathed in a red hot, menacing glow. Many walk around hunched and broken, more like animals than people. Noah and his family, in contrast, live a nomadic life. The take only what they need and what has immediate use. While Noah is willing to defend life with violence, he makes no weapons. When he and his family come across a young girl who has been wounded, they treat her injuries and bring her into the family. They care for things that grow. They don’t eat any meat. The family is characterized by what I can only describe as the fruits of the Spirit until sin is brought into their midst. Such contrasts have plenty of Scriptural warrant. Tubal-Cain is described as an instructor of bronze and iron craftsmen. He is traditionally held to be the first metalworker and manufacturer of weapons. Cain, after he kills Abel, is removed from the presence of the Lord and builds the city of Enoch. There is good case to be made from both Scripture and tradition for Noah being vegetarian. Eating the blood and entrails of animals is strictly forbidden by God in Genesis chapter 9, and it would certainly make sense that depraved humanity would eat such things. Aronofsky takes the most liberties with the narrative in the scenes on the Ark, after the flood has covered the earth. But this is also where the Biblical narrative is the most silent, and it’s also where the film grows into something really magnificent. Throughout most of the film, Noah is presented as a genuinely good man. He loves his children, loves his wife, loves creation. He is strong and mighty, a defender of the weak. He comforts a wounded animal in its death throws and treats as his own daughter a young girl who’s family has been murdered. When God gives him a dream of the future flood and instructions to build an Ark, he obeys. A change in his character occurs, though, when he encounters horrifying evil in Tubal-Cain’s camp. We see him angry, bitter, despairing. He no longer has any hope for the salvation of humanity. He determines that God has asked him to build the Ark to save only the animals and allow humanity to die with Noah’s youngest son. In some ways, he’s absolutely right. All human beings, including him and his family, are capable of sin. The flood cannot change that. The root problem has not been dealt with. Humanity will continue in its slow spiral downwards. The only way to set things right is death. Noah was willing to do whatever it took to stop sin from continuing, including killing his two infant granddaughters, and the reasoning behind it wasn’t necessarily incorrect. Indeed, a new fall is occurring right inside the Ark, unbeknownst to Noah. Tubal-Cain has secreted himself in a room deep within the ship. The room choice is important; it’s full of snakes. Ham, Noah’s middle son, cares for the stowaway, dresses his wounds, keeps him safe, and eventually plots with him to murder Noah. At one point, Tubal-Cain grabs a snake and bites its head off for food. He offers a piece to Ham, who takes and eats it raw. Even though Tubal-Cain is eventually killed, the line of Cain has not been destroyed. Noah believes that in all this, God is silent. He will not speak to him and give him an understanding of what to do. In reality, we see that God is speaking the entire time through the events that occur. The barren womb made fruitful is always a sign of God’s work. He delights in bringing life from death. When Noah learned that his barren daughter was with child, and especially after he learned that it was not one child, but twin girls for his two unwed sons, he should have understood that this was the work of God, a blessing on his descendants. In an exceptionally powerful scene, God finally speaks to Noah through love. God is love and when Noah finds he cannot kill his grandchildren because he loves them, God’s will is revealed. There still isn’t, as is true of most Aronofsky films, a satisfying conclusion to the problem, however. The conflict hasn’t truly been resolved, merely put off. While Noah’s family would live on and receive God’s blessing in the rainbow, Ham had left, sin lived on. But, in the background, unspoken but true, is the knowledge that the same Love which prevented Noah from killing his grandchildren would eventually send His only Son, a human in the line of Seth, to do what Noah could not: save the world. JG: Justin, your response to the film is far different than mine, and certainly deeper than mine on a host of issues which lay close to the center of the film. I found Noah richly problematic on a number of points, though, let me begin with what good things I thought the film had to offer the Biblical story. Before going any further, I enjoyed the montage repeated in the film wherein the Fall is invoked. The snake and the fruit, which looks like a shriveled human heart. The dream wherein Noah learns that God will “destroy the world” was also appropriately unnerving. And just to get the matter in early, I sat down to watch this movie hoping for an acrobatic interpretation; I was hoping the spaces between the lines of the Biblical story would be stuffed. When I tell the story of Noah to my own children, Noah discerns that God will destroy the world when he catches a fish, splits it open and finds a living bird inside, the same bird he sends out to search for land. I make precious few demands insofar as “sticking to the text” is concerned. Contrary to most Christian readings of Old Testament heroes, Noah is not construed as the last “family man” amidst a generation of thugs. The “righteousness” of Noah does not depend on his willingness to feast with his family on the Sabbath and generically “value life” against the rising violence, love of death and coercive power which prevails in his culture. Crowe is as surly as ever, never smiling, anxious, aggravated, his arms folded when thinking of “the Creator.” Too often, the holy man of the Old Testament is seen as good according to American Christian standards of goodness, meaning polity and manners and goodwill. I often think Jonah gets the short end of the stick; Jonah is holy, he speaks on behalf of God, though he desires destruction and is angered when his own promises of “destruction” are not met out in the manner he anticipated. God desires obedience, and as Christ says, “If you love me, you will keep my commandments,” though this claim does not nullify Jacob’s life-creating struggle with the Angel of the Lord which culminates in eternal blessing. Christians speak often of the manner in which Christ’s obedience to God fundamentally reorients the entire human nature, and yet we are uncomfortable with the vision of righteousness offered in the Old Testament. All the prophets, from Hosea to John the Baptist, lived bizarre lives inundated with curious knowledge of God which even the pious found difficult to swallow. Aronofsky’s Noah is such a prophet; Noah’s initial interpretation of God’s injunction to build the ark is as misguided as Jonah’s initial dissatisfaction and bafflement at the command to preach to Nineveh. 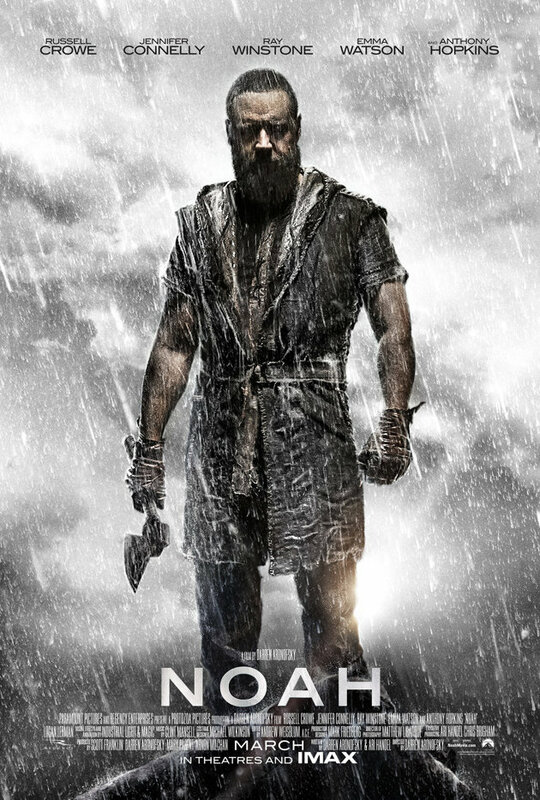 At the same time, the poster for the film, and the endless run of ads for the film which have blanketed the internet for the last two weeks, present Noah with an axe in hand, and his whole face darkened. If Aronofsky’s name hadn’t been attached to the film, I would have guessed Mark Driscoll was directing the movie. It’s appropriate that Noah doesn’t look like the man who will save mankind, though, given that Aronofsky’s Noah believes he is ushering in the total destruction of mankind. Is it fair to suggest Noah might have so misunderstood God? Part of me says it is, and part of me says it is not. “Whatever is on the earth shall die. But I will establish My covenant with you; and you shall go into the ark- you, your sons, your wife, and your sons’ wives with you.” Is this “covenant” ambiguous? Certainly, and we cannot view the Noah story through the wrong end of the telescope; Noah could not have interpreted his own life with the clarity that, say, St. Peter had when reflecting back on Noah and discussing baptism into the church. At the same time, Aronofsky’s Noah radically misunderstands God, and he is frustrated. His frustration is like Job’s frustration. But God speaks to Noah from the beginning and reveals something of His plan; Job does not enjoy such communication, and so it makes sense that Job is vexed and shouting at the sky and anyone who will listen. Noah had a dialog with God that mitigates his frustration and confusion; Aronofsky’s Noah is curiously distracted from God, though. The film runs up against the rocks, in my estimation, when Aronofsky’s Noah is revealed as a naif; he believes that man is worthy of destruction and the innocent animals worthy of salvation, although this interpretation is staked in Noah’s venture into Tubal Cain’s kingdom wherein he sees men acting like animals, sordidly trading females like objects and tearing apart the weak for food to be consumed raw. Are animals good or evil? Innocent or the paragon of wickedness? Should we behave like animals? Like gamboling sheep? Or like orca whales, which will violently play with half-dead porpoises for an hour before finally eating them? Modern environmentalists have never been able to solve this conundrum and neither can Aronofsky. At several places in the film, the wicked eat raw meat; the issue of raw food is more important than it might seem, I believe. For the ancient Greeks, fire was simultaneously a symbol of knowledge and civilization. Man was civilized, which is to say divine, because he knew animals must be sacrificially returned to the gods through immolation. Man’s wisdom emerged in his ability to pacify and deal with the gods; man could return empty bones to the gods, and the gods would restock those bones with flesh, and thus, man could live and sacrifice again. To eat raw meat was a sign of ignorance, a revelation that a creature lacked a knowledge of fire, of wisdom, of the sacral order of the universe wherein the gods fed man and man fed the gods in return. When Noah witnesses men eating raw meat, or when Tubal Cain eats the snake raw on the ark, Aronofsky pays allegiance to the classic notion that primitives are mere animals and atheists, unaware that the gods are owed their due. This creates a significant and unrecoverable tailspin in the story; while Aronofsky’s Noah wants the animals to be innocent, men are also at their worst when they are acting like animals, eating flesh raw. Noah’s belief that the animals are innocent is built off anachronistic prejudices. Animals are vicious, “red in tooth and claw,” although Noah seems strangely unaware of this fact. He views nature like Coleridge or Shelley would. I feel obliged to level at least one theological complaint against the film, to pretend to be St Augustine watching the film for a moment. The ark is impenetrable because it is an icon of the Church, which does not suffer corruption. In the same way Eve proceeds from the side of Adam, the Church proceeds from the side of Christ, and Noah proceeds from the side of the ark after God Himself shut Noah in. Aronofsky’s ark is subject to corruption, though, and Tubal Cain cracks open the side, fits himself in, and begins feasting on the animals. As soon as the ark is closed, though, Noah gets cagey and stalks around the ark like Jack Torrance at the Overlook Hotel. Noah seems scarcely more righteous than the wicked king he has failed to defeat. The ark becomes a house of horrors, so much so that a second ark is needed to escape from the first ark; Noah has become the nasty, avenging God who wants to destroy his children, and his children must build an ark to escape. When Noah discovers the second ark, he destroys it. Within the broader spectrum of Aronofsky’s work, the fellow works himself into an interesting corner midway through the third act, wherein he finally allows his obsessive devoted hero to cave, to rest. Is there any doubt Nina would have stabbed those infants? She would have not shed a tear, although the Ram might have shed a tear, but nonetheless done it, as both are slaves to passion, but when Noah relents, he leaves himself no standard recourse in the Aronofsky cosmos. Why does Noah relent? The film is ambiguous on this point. Noah might relent of the violence he intends as an act of high defiance against God, or he might behold those infants in a kind of epiphany, wherein he realizes God “does not desire the death of a sinner, but that he should turn from his wicked ways and live.” Noah goes off to become a drunk, which suggests it is the former; he believes he is living in defiance of God, he believes God is evil, and he is confused. Here is where I found my own greatest sympathy for the film. 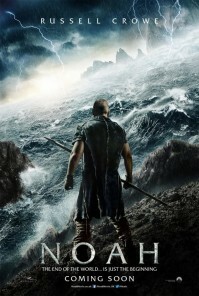 While Noah spends the majority of the film cocksure he is doing God’s will, he is finally challenged on his certainty and comes up with nothing. He is brought face to face with the possibility that he has misunderstood the creator, and so he retreats to a good old-fashioned Proverbs 31 forgetfulness of sorrow. For nearly a century, he imagined a nihilistic God, bent on destroying His image, and yet, that certainty is undermined in the emergency of Noah’s life. Would the Almighty really ask him to commit murder? The Noah of the third act of Aronofsky’s film is grappling with the ultimate uncertainty which plagues all human life- those endless retreats into reinterpretation of that which was formerly dogmatic, lucid and easily explainable. The film ends in reconciliation, but had Aronofsky remained closer to the Biblical text, he might have stretched Noah in a more interesting direction. In Scripture, after Noah exits the ark, he offers animal sacrifices to God; such an act would have been difficult for Aronofsky’s Noah. I would have liked to see those sacrifices ultimately reorient Noah to his family, to God, to soundness of mind. The coda of the film is rather flimsy, though, and I suspect that’s because the studio barged in and demanded the final notes of the film to be positive and encouraging. Of course, the studio probably suppressed the dark impulses of Aronofsky on this point, and so there’s nothing saying the better ending is on the cutting room floor. JS: The decription of Noah’s character you include is in some ways similar to what I saw, in some ways very different. 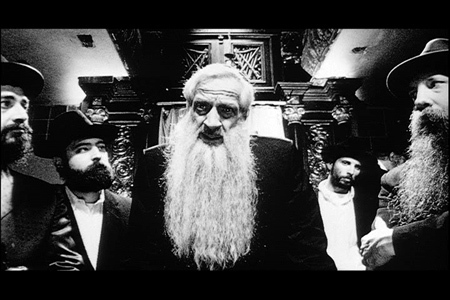 He is indeed an Old Testament prophet in look, attitude, and action for the majority of the film. Methuselah, too, has the same feel, seeming half-senile and half-insane, the righteousness in him is strange and unnerving, but he is nonetheless good. I think Aronofsky struck the right balance between making his characters accessible and alienating to a modern audience, and he at least avoided what I take to be the two most common pitfall in such films, making characters cartoonish superheroes or soft and safe as a Kinkade painting. I don’t know that I would say his initial interpretation of God’s command is misguided, though. And along with that, I’m not sure I would characterize him as “surly, never smiling, anxious, aggravated.” At first, he seems to believe that his righteousness will save his family from the coming disaster so that they can repopulate the earth. He cheerfully promises Ham a wife, or at least that God has and would give them everything they need to live after the flood. He saves Ila, an act that is later contrasted when he leaves Na’el to be trampled and killed. He shows deep respect for his grandfather Methuselah. His initial attitude seems to be quite hopeful and strong, and he rests in the knowledge of God’s favor. It is only after he visits Tubal-Cain’s camp looking for Ham and Japheth’s future wives that his thinking drastically changes, only after that experience of evil does he come to believe that God’s purpose is to destroy the entirety of human kind, his family included. Perhaps it could be described as a move from Abraham to Jonah, a movement from desiring to save Sodom to wanting Ninevah destroyed. From what I understood, Noah, after his first dream and God’s command to build the Ark, is a famililar character. He is the faithful Noah we find in Scripture. He has an understanding that he is destroying the evil and saving the good, starting anew with the line of Cain destroyed. There is a line he speaks to Methuselah which seems to indicate a strong understanding of the symbolic nature of the flood, that it kills but also washes creation clean. His misunderstanding of God’s will comes when he sees himself and his family as participants in the fall, which is in a sense true, although he is not evil or repugnant to God. The experience was so traumatic that he begins to believe that he deserves to die and that his perception of his own life and his family are deeply flawed. Even then, though, he is willing to listen if God will speak. And God does speak, but not through dreams. He speaks in making the barren woman fertile, in initially providing a wife for Ham in the grave, in giving Noah the experience of love when Noah looks upon his grandchildren, in the rainbow surging through the sky after the children are blessed. All this, while perhaps not very consistent with the relationship God had with Noah in Scripture, made for a Noah that was extremely cinematically compelling, at least for myself. It also sets up what I consider a powerful allusion to Christ. Ila says at one point that the animals live as they did in the garden. Within the framework of the movie, I think this idea might make sense of the difficulty in Noah’s conception of the worth of humans vs. animals. Aronofsky presents a world in which animals were innocent, in which nature was not yet “red in tooth and claw.” Noah’s attitude, within the world Aronofsky chose to place him, was entirely consistent and reasonable. One could make the case, I think, that Genesis 9 gives an indication that such really was the world before the flood. Animals weren’t afraid of humans, humans weren’t supposed to kill and eat them. Even when God specifically told Noah that he could eat the animals, he warned, “you shall not eat flesh with its life, that is, its blood.” This might provide a more simple explanation for why Aronofsky chose to show those in Tubal-Cain’s camp eating uncooked meat and Tubal-Cain himself eating the snake’s head raw. Whether Aronofsky was making a point about our current situation, that we all be vegetarians and that killing animals is wrong, I don’t feel confident enough to say, and I don’t think it crucial to know. What I’m sure of is that, again, these elements were cinematically compelling and reasonable inferences of Scripture. Their main importance is that they provided strong emotional and visual contrasts between good and evil, between Noah’s people and Tubal-Cain’s. I honestly didn’t recognize that the boat which Shem built was a second Ark. Of course, you’re right, and your theological point well taken. All I can say is that Aronofsky may have sacrificed that theological point (the Ark is Church) for another. Here’s a real stretch for you. Tubal-Cain entered through the side of the ark, gushing blood from his wounded leg and allowing water to enter. Such interpretation is at best tenuous, I know, but it bears enough similarities to Christ on the cross for me to warrant a second look. It may just fit neatly inside the interpretation that I offered, that the whole of Noah’s experience on the Ark and immediately after was pregnant with the desire for Christ. JG: You raise a host of fine points here, especially the transformation in Noah’s perception of his task. He goes to find wives for his sons and is shocked at what he sees of the city; how he neglected to see such vice before is a mystery, although I suppose we could view Noah as a city mouse/country mouse story which plumps for asceticism, isolation, a far more monastic life than the life of the metropolis. Your point about animals perhaps being tame and congenial is also well-taken; on the ark, Tubal Cain describes the animals as “servants” of man, although I was irked by this, because it is fine liturgical language given to a wicked man. “Glory to thee for the humbleness of animals which serve me,” as per the Akathist of Thanksgiving. That Noah should have eaten only vegetables is an interesting aspect of the film, consolidating Noah’s monastic tendencies; that those monastic tendencies are given up immediately after the ark lands is, as I mentioned before, simultaneously a brilliant maneuver of the plot, but also seems a touch theologically unsound. As with Moses’ slaying of the Egyptian, patristic writers exonerate the “drunkenness” of Noah over and again on typological grounds. He plants a vineyard, he carries on the quiet, agrarian lifestyle he had at first, and I find it dubious for Aronofsky to claim he did so that he might give himself over to toxic, pathetic living. Ultimately, I think the Aronofsky hero resists the Biblical story in kind and moderation. Aronofsky wants to push his characters to the very edge, the cusp of sanity, and then push over the edge and have them come to as they plummet downward. While he tempers this formula slightly in the third act, that the righteous patriarch haunts the ark and terrifies his family with mad ideas, wildly immoderate moods and delusion reveals the limitations of the storyteller. After The Wrestler and Black Swan, the fellow once again can’t resist pitching his hero into the chaos. “Could you perhaps tell the story in a way which doesn’t so closely resemble your previous work?” In writing workshops, there is a well-known motto, Kill your darlings, and it means that those aspects of the story which are most precious to the writer, those qualities of the story you are least willing to part with are probably not of interest to the reader. “Let me guess… the guy goes nuts?” asks a studio executive to Aronofsky just before the pitch begins. “Two arks,” replies Aronofsky, before adding, “The second one to escape the first.” Now, to be fair, the final twenty minutes of the film attempt to rehabilitate Noah, to make him sympathetic again, but the story seems so cobbled together. Did you not find the final five minutes to be just a touch smarmy, a complete departure in tone from the rest of the film? Everyone holding hands and the sky blasting a rainbow into the viewer’s eyes? JS: The final five minutes were indeed a touch smarmy, but not, I think, a complete departure from the rest of the film. They were, however, a complete departure from the typical way Aronofsky ends his movies. It was his first attempt at a coda that wasn’t wholly depressing. It also involved rainbows, which seem specially difficult to make un-smarmy. Happy endings are hard, certainly much harder than finishing a narrative with death and destruction. Given all these elements, I’m less critical than perhaps I might otherwise would be. Even Malick’s ending to The Tree of Life fails to reach the heights set by the rest of the narrative. Whether it was the studio forcing such and ending or part of Aronofsky’s original vision would be interesting to know, and I hope we will find out when Noah is available to rent. A director’s cut or alternate endings would be really revealing. Maybe we could pick up our discussion again at that point. As we’ve reached the end of our conversation, let me say thank you very much for your part. There are, as with all good films and directors, so many more things that we could profitably discuss. You’ve highlighted many, many points that I hadn’t noticed before and so made my understanding of Aronofsky’s work much deeper.